Abbotsford/Nanaimo – The Envision Financial Athletic Centre will be buzzing this weekend, as the Cascades basketball and wrestling programs host an exciting slate of competitions. The UFV basketball teams both clinched playoff spots last weekend, and they take on nationally ranked Calgary Dinos opponents in a Friday-Saturday set at the EFAC. The Cascades wrestlers, meanwhile, not only host their annual Cascades Classic home tournament this week, they also welcome hundreds of school-aged wrestlers for the Western Canada Age-Class Championships. The UFV volleyball teams are on the road, facing the Vancouver Island University Mariners in Nanaimo. The 2019 class of Cascades Hall of Famers will be inducted in a ceremony on Friday at halftime of the men’s basketball game. This year’s class features athletes Derek Fletcher (men’s volleyball) and Andrea Wigman (women’s soccer), builder Skip Bassford, and the 1999-2000 national championship-winning men’s basketball team. For more information on this year’s Hall of Famers, click here. Friday is also UFV Alumni Night. The UFV Alumni Association is offering 50 free ticket packages (featuring game admission, pizza, popcorn, and soft drink) to alumni on a first-come, first-serve basis. Register online at http://bit.ly/UFVAlumniNight. Saturday’s basketball games and Sunday’s wrestling tournament will promote Bell Let’s Talk 2019. Bell Let’s Talk Day, in support of mental health, is Jan. 30, and Bell will donate 5¢ towards mental health initiatives in Canada for every applicable text, call, tweet, social media video view, and use of the Bell Let’s Talk Facebook frame or Snapchat filter. More information on Bell Let’s Talk Day can be found here. Friday, Jan. 25: Cascades (11-5, T-5th in Canada West) vs. No. 3 Calgary Dinos (16-0, 1st in Canada West), 8 p.m.
Saturday, Jan. 26: Cascades vs. Dinos, 7 p.m. The Cascades couldn’t ask for a tougher test this weekend. The Calgary Dinos are the reigning U SPORTS national champions, and they’re in the midst of an epic title defence. They’re currently undefeated, hold sole possession of first place in Canada West, and are ranked No. 3 in the nation. 2018 national championship MVP David Kapinga and All-Canadian Mambi Diawara lead a seasoned, skilled squad. Head coach Adam Friesen’s charges, meanwhile, are well-rested coming off a productive bye week which saw them lock up a playoff berth by virtue of out-of-town results. They’re in the midst of a strong season in their own right, having recently reeled off a 10-game win streak. Add it all up, and it’s an outstanding match-up that is sure to be a treat for local basketball fans. “They’re a veteran group that knows how to play together,” Friesen said of the Dinos. “All the experience that group of players has accumulated over the years, they’ve seen everything. Players to watch: Cascades sophomore point guard Vick Toor was the Canada West men’s second star of the week following the team’s last game action, Jan. 11-12 at UVic. The Kent, Wash. product posted double-doubles both nights against the Vikes, racking up season highs for points (21) and rebounds (14) in Friday’s 98-94 win and posting 17 points and 11 boards in Saturday’s 78-75 loss which snapped UFV’s 10-game win streak. Toor is averaging 9.0 points and a team-best 3.7 assists per game this season. The Dinos, meanwhile, have a local product in Chilliwack’s Lucas Mannes who will be making a homecoming to the Fraser Valley. The fifth-year guard out of G.W. Graham Secondary is fifth in team scoring (9.7 points per game) and shoots 33.3 per cent from beyond the arc. Friday, Jan. 25: Cascades (10-6, T-6th in Canada West) vs. No. 7 Calgary Dinos (13-3, T-3rd in Canada West), 6 p.m.
Saturday, Jan. 26: Cascades vs. Dinos, 5 p.m. The Cascades women’s basketball team, like the UFV men, clinched a playoff berth during their bye week thanks to key results elsewhere in Canada West. They get back at it this weekend against one of the conference’s top teams in the Dinos, who come in ranked No. 7 in the nation. “It’s a great test for us, playing a really quality Calgary team that’s had an outstanding season so far,” Cascades head coach Al Tuchscherer noted. “They’re a team that has a lot of depth, and is a great defensive team. They can pressure you in the full-court, and disrupt a lot of things you’re trying to do offensively. 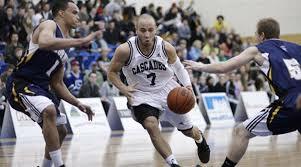 In the Cascades’ last game action, they earned a weekend split at UVic, suffering a 91-58 loss on Jan. 11 before bouncing back for a character win on Jan. 12 by a score of 73-71. The second-night performance was one that the team will look to build on, both in terms of blue-collar effort and attention to detail defensively. Players to watch: Cascades third-year forward Veronica Kobes had a breakout game in the win over UVic, racking up a team-high (and career-high) 17 points and six rebounds in just 14 minutes off the bench. The 6’2” Abbotsford product has grown her game by leaps and bounds this season, and she’ll be a key player against the Dinos. Calgary has been led offensively by fourth-year guard/forward Erin McIntosh – she’s tops in team scoring (15.4 points per game) and rebounding (6.9). The UFV wrestling program’s annual regular-season tournament, the Cascades Classic, is part of a huge weekend of wrestling on campus. The university competition kicks off Saturday evening with a dual meet between the Cascades and the Saskatchewan Huskies at 7:30 p.m., and the full Cascades Classic tourney takes over the South Gym on Sunday starting at 9 a.m. The event is a sneak preview for another major tourney on the horizon – the Cascades are hosting the Canada West Wrestling Championships at the Envision Financial Athletic Centre, Feb. 8-9. The wrestling program is also hosting the Western Canada Age-Class Championship this weekend, Friday through Sunday, starting at 10 a.m. each day in the EFAC North Gym. Hundreds of wrestlers from Grades 7-12 will be competing, and Evered Hall in the Student Union Building will also play host to matches on Saturday. “It’s exciting to have the Cascades Classic in our home gym,” Cascades interim coach Stacie Anaka said. “We’re comfortable in the facility we train in, and it’s nice to have the opportunity to have family and friends come out and support. It also generates some excitement for hosting the Canada West championships in the coming weeks. Both UFV wrestling teams are ranked nationally – the men’s squad maintained its position at No. 3 in the latest edition of the national poll, while the women moved up one spot to No. 7. Wrestler to watch: Cascades sophomore Karan Dhillon had an outstanding performance at the last Canada West event, the Golden Bear Invitational in Edmonton Jan. 12. The Surrey, B.C. product won gold in the tough 82-kilogram men’s weight class, and is currently ranked No. 1 in the nation in the division. Friday, Jan. 25: No. 9 Cascades (11-5, 3rd in PACWEST) at No. 1 VIU Mariners (18-0, 1st in PACWEST), 6 p.m.
Saturday, Jan. 26: Cascades at Mariners, 1 p.m. The Cascades’ opponent this weekend, the Vancouver Island University Mariners, boast a trio of highly impressive accolades. They’re the reigning national champs; they’re undefeated at 18-0; and they’re currently ranked No. 1 in the nation. If that pedigree isn’t intimidating enough, the Cascades get to face them on the road. That said, Gilray – whose team played VIU at home to open the PACWEST schedule and fell in four sets on Oct. 12 and three sets on Oct. 13 – believes the CCAA No. 9-ranked Cascades have the athleticism to give the Mariners problems. Players to watch: Fourth-year Cascades left side Chelsea Kidd is coming off a terrific performance last Sunday, racking up a team-high 11 kills off the bench to lead a three-set victory over College of the Rockies. An explosive leaper, the Surrey, B.C. product has proven she can provide an offensive spark when called upon. For the Mariners, third-year middle Taylor Wickson is the reigning PACWEST women’s volleyball athlete of the week after a pair of huge performances in a weekend sweep of No. 3-ranked Douglas. She’s the runaway league leader in blocks (1.04/set) and ranks eighth overall in total offence (2.93 points/set). Friday, Jan. 25: Cascades (1-15, T-6th in PACWEST) at VIU Mariners (11-7, 4th in PACWEST), 8 p.m.
Saturday, Jan. 26: Cascades at Mariners, 3 p.m. The Cascades had some bright moments last weekend but ultimately came up empty, suffering a pair of homecourt losses to the College of the Rockies Avalanche to fall to 1-15. But they’re still in contention for a playoff spot – six of the PACWEST’s seven teams get in, and the UFV squad is tied for sixth with crosstown rival Columbia Bible College. They’re back at it this weekend against one of the conference’s traditional powers, the VIU Mariners. “We just have to keep at it,” Cascades head coach Kyle Donen said. “VIU is reeling a little bit with a few injuries of their own, so it’s two teams that are a little bit banged up and are trying to find their way this semester. Hopefully we can be the team that finds it early on the road, and put some pressure on them on their home court. Players to watch: The Cascades have gotten solid play of late from rookie middle Jackson Obst – the Kelowna, B.C. product tied for the team lead in kills last Saturday vs. COTR with five, and chipped in with another five kills on Sunday. His continued growth down the stretch will be key for the Cascades as they push for the playoffs. On the other side of the net, VIU’s fourth-year outside hitter Braydon Brouwer is having another outstanding season. The PACWEST’s 2016-17 player of the year ranks fifth in the conference in kills (2.98/set) and sixth in total offence (3.39 points/set). 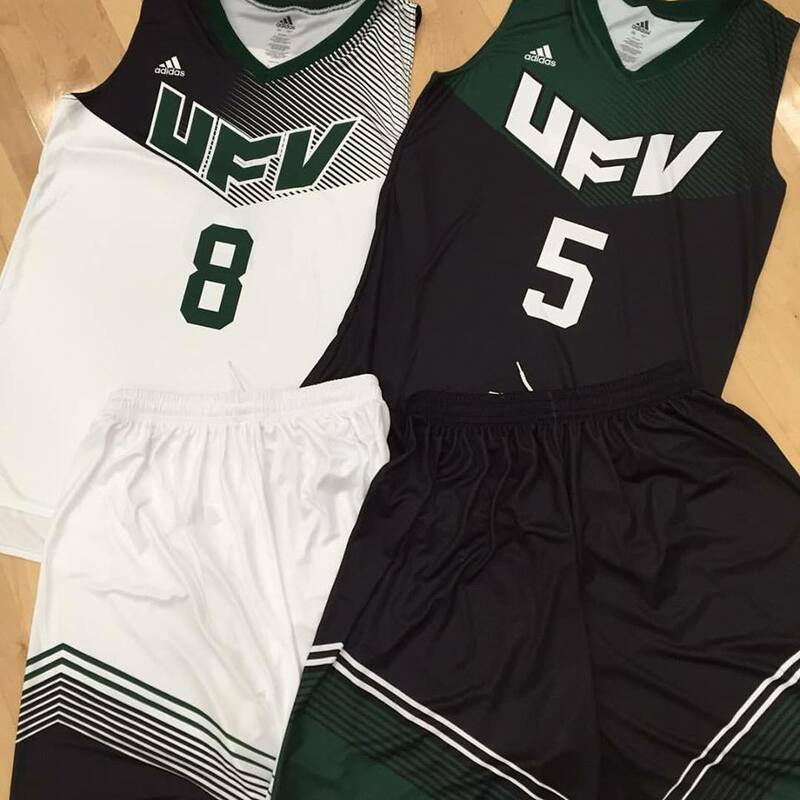 Be the first to comment on "UFV Cascades – Busy Weekend Including Hoops, Volleyball, Wrestling, Hall Of Fame Game"